The Dallas Mavericks started out this season as a very bad team gnashing around in a garbage heap and losing oodles of games. They enjoyed a brief period of relevance and even fought for a playoff spot after trading for Nerlens Noel, but they eventually settled back towards the bottom of the standings and finished 33-49. 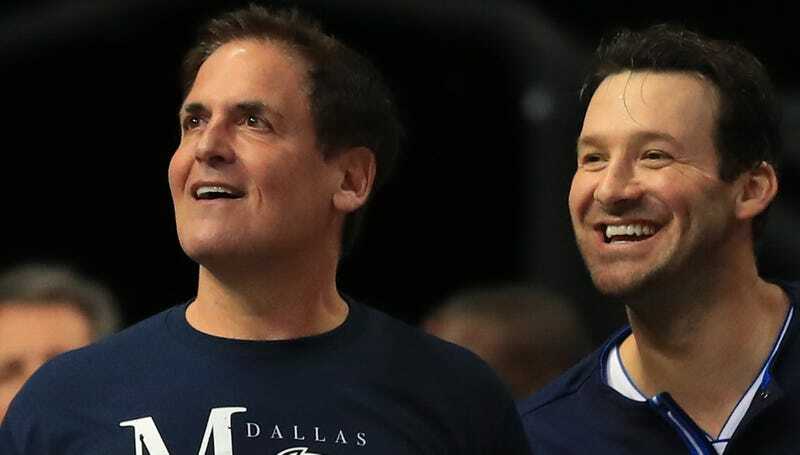 Mark Cuban went on the Dan Patrick Show this afternoon and admitted that the team did “everything possible to lose games” after it became clear that they wouldn’t be making the playoffs. Cuban was clear that there was no diktat demanding players to pass the ball into the stands or shoot boatloads of half court shots. The Mavericks simply played their young players more, like Dorian Finney-Smith and Yogi Ferrell. Cuban’s comments aren’t really that surprising, as plenty of NBA teams did the exact same thing as the Mavericks far earlier into the season, but it’s rare to hear an NBA owner be this forthright. Cuban’s Mavericks made a genuine go of it after they started out 2-13 and they eventually settled for the ninth-worst record in the NBA at 33-49 when they easily could have bottomed all the way out like the Suns. Teams that try then fall short are punished most by the lottery system, and all the Mavs got for their late-season swoon was a chance to jump the Pelicans, who didn’t have their pick. Maybe if they brought on Tony Romo in January, they could be in line for Lonzo Ball.